The United Nations General Assembly Resolutions are no different as they also understand the truth as a right. (4) The jurisprudence of the European(5) and Inter-American(6) Courts of Human Rights similarly recognized the right to truth, this time, as an extension to the right to access to justice. It is because of this wide recognition that some commentators, including Yasmin Naqvi,(7) researcher at the ICRC, consider this right to be a general practice of international law which grants it the status of a norm of customary law. But, even if considered a right because of its customary status, what does the right to truth entail? What is its content? What are its contours? These are questions that remain unanswered. One thing is clear however: the right to truth comes from norms of international humanitarian law and human rights law and it then moved into international criminal law. It was (and still is) a matter of State responsibility, not thought as an element of personal liability. This is important because it shows that the right to truth was not conceived originally as part of international criminal law and that in an effort to implement it, the international criminal procedure has suffered substantial changes, trying to imitate a human rights tribunal or a truth commission. Though the resolutions establishing the International Criminal Tribunals for the former Yugoslavia (ICTY) and Rwanda (ICTR), and their respective statutes, make no reference to such a complex concept, truth has been considered the main objective of the jurisprudence of these tribunals. (9) The International Criminal Court (ICC) went a step further by acknowledging this purpose in its statute, particularly in articles 54(1)(a) and 69(3). International criminal tribunals thereafter have taken a similar approach. As argued before, importing the right to truth from human rights law and humanitarian law into international criminal law led to recognizing an ample and complex truth as the heart of international trials. This raises at least three questions: First of all, what truth are international trials supposed to unveil? Second, can international criminal trials establish such a truth? Finally, should international criminal tribunals do so? These questions are not meant to be answered in this article. But, addressing them in the following sections, will hopefully provoke discussion around the objectives of international criminal law and the content and scope of the truth in international criminal proceedings. What is truth in the international trials? In the context of international criminal law, common-law and civil-law traditions influence the approach to the truth that the tribunal may have. The ICTY and ICTR conduct their proceedings in an attempt to reach a material truth, though these proceedings follow a common-law-oriented scheme in which two equal parties present their cases. The ICC also attempts to find a material truth as a result of the proceedings and, while maintaining its common-law features, it moves towards the civil-law tradition in allowing the involvement of the judge and the victims in establishing the truth. Can international criminal tribunals establish a historical truth? While it has been one of the main objectives of international criminal tribunals to achieve a truth that involves establishing a historical record of the circumstances surrounding the perpetration of international crimes, in practice, that objective usually falls short for a number of reasons. First of all, the use (and misuse) of plea bargains and charge bargains have made it difficult to achieve a historical truth. As seen in the previous section, though the ICTY includes elements of both traditions of law, the model put in place is heavily oriented towards a common-law system. This opened the possibility of plea bargains and charge bargains. This common practice consists of an agreement between the parties made with the purpose of shortening the trial and making them more efficient, as well as obtaining information, otherwise never obtained. However, these agreements are considered controversial as they imply limiting clarity on the circumstances of the crime and may obscure the true facts of the case. (13) In fact, ICTY judge Wolfgang Schomburg, presiding judge in the Deronjic case, criticized these agreements as they conflicted with the mission of establishing the truth. (14) That can be seen in the case of Biljana Plavšić, the former co-president of the Republika Srpska (who was sentenced 11 years in prison). The prosecutor dropped the charges for genocide as part of a charge agreement. Plavsic was then convicted for war crimes only and after her early release she renounced her admission of guilt. As a consequence, Plavšić’s involvement in the crime of genocide will remain forever unknown. To date, twenty of these agreements have taken place. (15) A similar approach was followed at the ICTR, where seven of the thirty-seven people convicted pleaded guilty as a result of an agreement with the prosecutor. (16) This approach implies, by definition, making it impossible to establish a truth that allows for a robust historical truth. For the sake of clarity, the use of plea bargains and charge bargains has proven to make trials more efficient. However, this practice is not compatible with the concept of a historical truth and it makes more difficult to achieve a right to truth. Victims should then apply to the realm of human rights law and look for a truth that meets their demands either before national or regional human rights courts. Secondly, the participation of victims in the proceedings, viewed as a means to guarantee the right to truth in international trials, may have the opposite effect. This is because it is assumed that the participation of victims in the proceedings will reveal the true facts behind the circumstances of crimes. Far from that, victims’ participation in certain cases has taken the form of inconsistencies and false testimonies that detract from the truth. To conclude, many elements present in international criminal trials like plea bargains, charge bargains and victims’ participation have been necessary to conduct the proceedings and even to guarantee the ascertainment of the truth (be it procedural, material or historical). But, these very tools may in some cases render establishing a historical truth impossible. Taking the experiences from the former Yugoslavia and Rwanda, it can be argued that the recurrent use of plea bargains and charge bargains led to a mere procedural truth, making a historical truth unreachable. Likewise, despite the effort of the ICC to depart from the procedural truth by giving judges a more active role in the search for the truth, the possibility of plea bargains and charge bargains still remains. As to the victims’ participation in the proceedings, allowing victims’ voices to be heard in trial may help to establish a holistic truth. But, as shown in practice,(18) victims voices have also led in some cases to false testimonies and inconsistencies that are divorced from the facts. Therefore, victims’ participation must be limited to the role of a witness to deprive other interests to conflict with the search for the truth and limit to the extent possible that external factors interfere with the proceedings. Should international criminal tribunals establish a historical truth? In addition to the practical difficulties international criminal tribunals face in establishing historical truth, one has to wonder: is that an appropriate role for international criminal trials? First of all, let us bear in mind that the historical truth that international criminal trials seek came from the notion of a right to truth in international human rights law. This means that the satisfaction of a right to truth is a matter of human rights law, not a matter of international criminal law. This means that to satisfy the right to truth is a responsibility of a State and should be addressed in a national or regional court of human rights, not an international criminal tribunal. Therefore, the recognition of such truth as the core value of international criminal trials is the result of a confusion between two different bodies of law. In other words, an international criminal tribunal should not have the burden of satisfying victims’ right to truth, as it is not a human rights tribunal. Secondly, it could be argued that achieving a historical truth could be beneficial as it fights impunity, deters and prevents further violations, re-establishes the rule of law and reaffirms the principle of legality. (19) However, it is clear that the same objectives can be met with a more traditional approach to what truth is in a criminal procedure, meaning, establishing the guilt or innocence of the accused. Thus, the usefulness behind historical truths remains uncertain. Finally, far from achieving the goals of international criminal law or satisfying victims’ rights, the role of international criminal tribunals as historical-truth-seekers entails many dangers. As the Finnish international lawyer Martti Koskenniemi(20) argues, giving international criminal tribunals the power to write history, instead of only determining the guilt or innocence of the accused, will make the line between justice, history and manipulation invisible. This is because the highly political context under which international criminal trials take place will increase the chances of making international criminal proceedings a show trial that intends to educate people on historical truths through law. As argued in this article, the right to truth, deeply rooted in human rights and humanitarian law, has permeated international criminal law. As a result, international criminal tribunals have taken on the challenge to provide a truth that goes beyond establishing the guilt or innocence of the accuse. This truth has been expanded to the point of searching for all aspects related to the crime committed, its context, reasons, etc., in order to set a historical record. Nonetheless, such a historical truth can hardly be created by international criminal tribunals, and such truth has not proven to be beneficial for the aims of international criminal law. Moreover, to pursue this truth endangers the legitimacy of international criminal tribunals as it gives the procedure a political hue. With that in mind, it can be argued that international criminal law should focus on determining the guilt or innocence of the accused, as assuming such lofty objectives as writing history and achieving an uncontested truth may be anything but beneficial. Andrés Felipe Morales Arias is a Colombian lawyer from Los Andes University, with specialized studies on Human Rights Law and International Criminal Law from the Alfonso X El Sabio University and the United Nations Interregional Crime and Justice Research Institute. Morales Arias has worked in these fields at the Colombian Constitutional Court, the International Criminal Tribunal for the Former Yugoslavia, the Mechanism for International Criminal Tribunals and more recently at the Special Jurisdiction for Peace in Colombia where he currently works as a legal officer. Articles 32 and 33 of the API GC of 1949. UN-OHCHR, Report on the right to truth (UN-OHCHR, 8 February 2006) 1-62. Human Rights Council Resolution, Right to truth (2014); Human Rights Council Resolution, Forensic Genetics and Human Rights (2010); Human Rights Council Resolution, Right to truth (2009); Human Rights Council Resolution, Forensic Genetics and Human Rights (2009); Human Rights Council Res. 12/12, 12th sess., Promotion and protection of all Human Rights, Civil, Economic, Social and Cultural Rights, Including the Right to Development: Right to the truth. (Oct. 12, 2009). General Assembly Resolution, Right to truth, Report of the special rapporteur on the promotion of truth, justice, reparation and guarantees of non-recurrence (2017). See, inter alia, Judgment of 25 May 1998, Kurt v. Turkey, Application No. 24276/94; Judgment of 14 November 2000, Tas v. Turkey, Application No. 24396/94; and Judgment of 10 May 2001, Cyprus v. Turkey, Application No. 25781/94. Inter-American Commission, Report No. 136/99, of 22 December 1999, Case of Ignacio Ellacuría et al v. El Salvador. Yasmin Naqvi, The right to the truth in international law: fact or fiction? 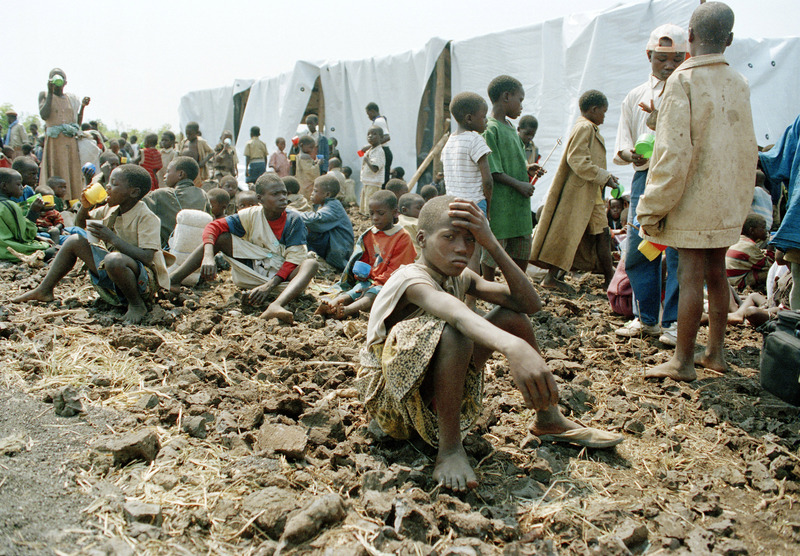 (Geneva: International Review of the Red Cross, 2006) 245-273. Prosecutor v. Deronjic, T. CH. Judgment on sentence, IT-02-61-T, 30 March 2004, para. 133; Prosecutor v. Akayesu, T. Ch. I. Judgment, ICTR-95-4-T, 2 September 1998, para 131. Caroline Buisman, Ascertainment of the truth in International Criminal Justice (Brunel University, 2012) 1-355. Turner, Jenia Iontcheva, Plea Bargain in International Criminal Justice (U. Pacific Law Review, 2017) 219-239. ICTY, Prosecutor v. Deronjic, Case No. IT-02-61-S, Sentencing Judgement, Dissenting Opinion of Judge Schomburg. (May. 30, 2004). ICTY, Key Figures of the ICTY (May 20, 2012). ICTR, Status of Cases, (August 15, 2011). ICC, The Prosecutor v. Thomas Lubanga Dyilo, Transcripts Closing submissions by the Defence (26 August 2011). Martti Koskenniemi, between impunity and show trials (The Netherlands: Max Planck Yearbook of United Nations Law, Volume 6, 2002) 1-35.